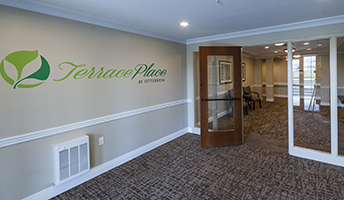 Work has been completed on Otterbein Terrace Place Apartments, a 4-story, 46-suite independent living facility constructed on Otterbein’s Lebanon, OH campus. The 4 story building consists of 1- and 2-bedroom suites on all four floors. 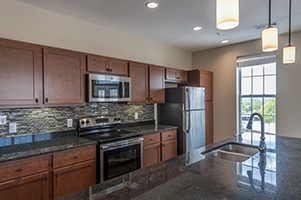 The apartments include upgraded finishes such as vinyl plank flooring, ceramic tile and granite countertops. Much of the first floor is partially below grade, housing an enclosed garage for 36 cars and 11 golf carts. On the second floor, residents enjoy a terrace with a green roof constructed over the garage and a community room with a service kitchen. Other amenities include an exercise room and a library with computer stations. The building’s exterior façade of brick, cast stone and siding fits well with the balance of the campus. 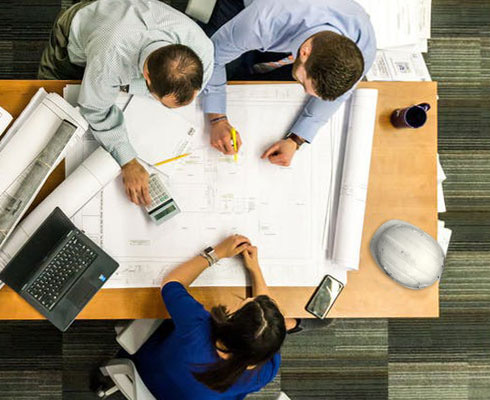 Miller-Valentine Construction self-performed a number of tasks on this project, including structural steel erection, doors/ frames/hardware, and restroom accessories/partitions.